Six Pump Court is committed to providing our pupils with professional training of the highest quality over a wide range of our key practice areas. We aim to provide an interesting and challenging experience in a friendly and supportive environment. The object of pupillage at Six Pump Court is to encourage pupils to develop their individual abilities and talents, whilst equipping them with the skills needed to ensure a successful career at the Bar. We expect our pupils to be genuinely interested in a number of our key practice areas and committed to developing a broad practice at the Bar. Six Pump Court has a very strong tradition of recruiting tenants from pupillage and we recognise that our future success depends upon maintaining the highest standards in the selection and training of our pupils. Our twelve-months pupils spend approximately four months with each of three different pupil supervisors. We encourage our pupils to undertake work for all members of Chambers and we provide the opportunity for pupils to experience work undertaken by members over a range of seniority. Wherever possible, we will attempt to accommodate the interests of our pupils without compromising the overarching aim of providing a broad and varied professional training. Six Pump Court recognises the importance of periodic appraisal and regular feedback. Pupil supervisors provide regular informal appraisals of the progress of the pupils they supervise and undertake formal assessments at the end of each period of supervision. We encourage our pupils to participate in the assessment process through self-appraisal. We also conduct advocacy and skills training sessions during which pupils can practice their advocacy in front of Members of Chambers who will provide feedback. During their first six months, our pupils work closely with their pupil supervisor, observing their supervisor undertaking advocacy work and advising clients in conference. Non-practising pupils can also expect to undertake regular legal research and written work, providing ample opportunity to develop practical, analytical, advisory and written communication skills. The type of paperwork will vary depending upon the area of practice and will include writing opinions, drafting statements of case and skeleton arguments. In their second six months, our pupils should expect to be in court very regularly. Criminal work will involve all types of Magistrates’ courts hearings, from first appearances to trials, together with opportunities to undertake mentions, appeals and sentencing hearings in the Crown Court. Civil work is likely to include small claims hearings, interim applications and other court and tribunal hearings. Chambers’ policy for tenancy recruitment is based on merit alone and we do not operate a quota system for the recruitment of tenants from pupillage. We recognise that meritorious candidates are likely to generate work for themselves and, in due course, for Chambers as a whole. The requisite intellectual and practical ability, together with demonstrated advocacy skills are the most important criteria but the ability to form and maintain professional relationships is also a crucial factor in any tenancy decision. Good interpersonal skills, including an ability to form and maintain professional relationships with colleagues within chambers and others over time; this will also include a consideration of an applicant’s temperament. When selecting pupils and recruiting tenants, Chambers adheres to the principles of Equality and Diversity set out in the BSB Handbook. Chambers is a member of the Pupillage Gateway. For further information and to apply for pupillage at Six Pump Court please click here. We are always interested in quality candidates who have already completed a twelve-month pupillage, however, our recruitment policy for third six pupils is operated on an ‘as needed’ basis. Vacancies for third-six pupillage are advertised on the Bar Council website. Applications for mini-pupillage are invited from candidates undertaking, or having completed, the final year of their academic legal studies, who genuinely intend to apply for pupillage at Six Pump Court. This is a valuable opportunity for those intending to apply to Six Pump Court for pupillage to get to know us and for us to get to know them. Mini-pupillage placements at Six Pump Court are not formally assessed. The aim of mini-pupillage is to provide candidates with an introduction to life at Six Pump Court and an opportunity to experience the type of work undertaken by our junior tenants. Mini-pupils spend between three to five days in Chambers and will be assigned to a junior member of Chambers who will act as mini-pupil supervisor for the duration of their visit. Mini-pupil supervisors will act as your main point of contact and will oversee the day-to-day arrangements during your visit. 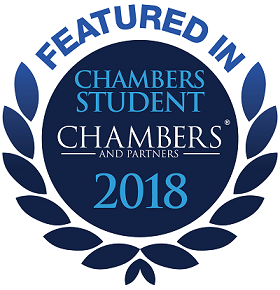 We aim to provide mini-pupils with opportunities to meet other members of Chambers and experience a range of the varied work undertaken in Chambers. We will also take into account those areas of practice of most interest to the mini-pupil and aim, so far as reasonably possible, to provide specific experience of those areas of practice during the week. Candidates should be aware that the majority of our criminal law work is undertaken in Kent. As our working pupils and junior tenants accept instructions in criminal cases, it is very likely that mini-pupils will be expected to travel to courts in Kent on at least one day during their placement. As the number of applications we receive usually exceeds the number of placements available, we assess applications for mini-pupillage against our published Selection Criteria for pupillage (see above). Whilst we encourage those intending to apply for pupillage to undertake a mini-pupillage with us, doing so is not a pre-requisite for applying for pupillage. As competition for mini-pupillage placements is very strong, candidates should not be dissuaded from applying for pupillage if their application for mini-pupillage is unsuccessful. Applications must be accompanied by a covering letter and a curriculum vitae, providing a detailed breakdown of examination results by subject. Covering letters must explain, by reference to our Selection Criteria (see above), why the applicant should be considered as a strong candidate for pupillage at Six Pump Court and the reasons for applying for a mini-pupillage placement. We utilise our Selection Criteria to identify and recruit those individuals who are most likely to excel at the independent Bar as members of Six Pump Court. Applications for mini-pupillage that fail to address our Selection Criteria and/or fail to demonstrate the requisite intellectual ability and/or a genuine interest in undertaking pupillage at Six Pump Court, are not likely to succeed.